Vernon Keith Heathman passed from this life on March 12, 2019 at the age of 81 at his home in Humble, Texas. He was born on August 27, 1937 in Madison, Missouri. Vernon was married to his wife, Aline, for 41 years. They have a son, Mac White, and three grandchildren, Justin, Jenna, and Jayla White with little Grant Daniel coming in June to Justin and Brittany. Vernon was employed by Gospel Assembly Church for approximately 20 years where he served faithfully, while also assisting with the driving of the church bus when needed. MESSAGE FROM ALINE: Thanks to Vernon, my son was never treated as a “step-son”, but was loved as if he were Vernon’s own. He loved Mac and tried to show his love by being there for him whatever the occasion might be. Mac loved him as well. He will be missed beyond what words can express. MESSAGE FROM MAC: For all the things you said and did, that made me such a lucky kid, the working hard, the taking care, for being strong and being there. For all your love, the gifts you give, the man you are, the life you live. For all these things and so much more, you’re the dad I’m thankful for. SPECIAL THANKS TO A FEW PEOPLE: The Wheats, The Perrys, the Ramirez’, the Les Modisettes, and Claudia Wilkerson. Without these folks, things would have been so much bearder. I will never forget your arts of kindness. 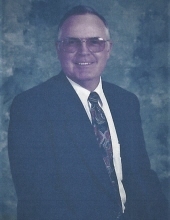 To plant a tree in memory of Vernon Keith Heathman, please visit our Tribute Store. "Email Address" would like to share the life celebration of Vernon Keith Heathman. Click on the "link" to go to share a favorite memory or leave a condolence message for the family.